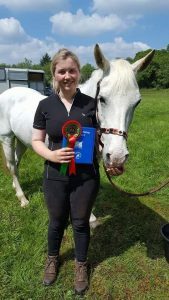 Back on Track are delighted to offer their support to up-and-coming endurance rider Katie Dixon. 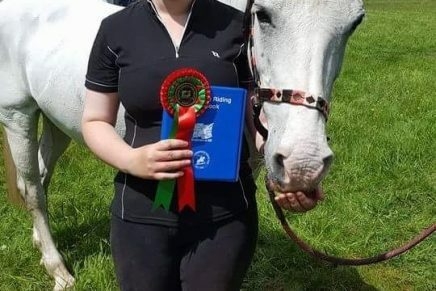 Katie and her part-bred Arab mare, Forever Amber, of Smallwood, Cheshire, have enjoyed a nine-year-long partnership which has seen them compete in showjumping, dressage, and carriage-driving, before settling upon endurance riding. They have enjoyed success at the Novice level with the Cheshire branch of Endurance GB for several years, and are now competing in south-west England and Cheshire after a setback that nearly ended their partnership. In late 2015, Amber sustained a severe injury in the field, fracturing a splint and cracking a cannon bone. Overnight, the mare was struck down with an infection, colitis, toxic shock, and salmonella, and Katie, her family, the vets, and her livery yard owner, Terri Hill, had to fight to keep her alive. Amber refused all food and seemed to be steadily deteriorating, as the assembled team scrambled to find a way to save her. With a bit of input from Facebook, and a relentless will, Katie and Terri discovered that Amber would take in small amounts of food – if it was soaked in a particular brand of apple juice. Her condition started to improve incrementally as she was able to take in more nutrients. 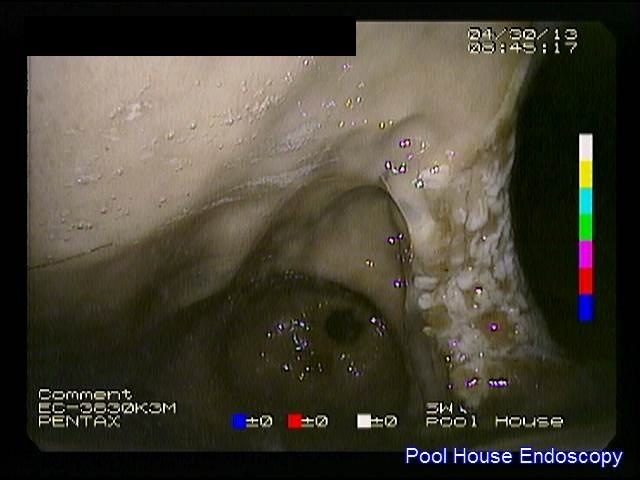 A few days later, though, her heart-rate skyrocketed and she was found to have toxicity in her blood and an infection. Ten days of blood tests and antibiotics followed, and then, finally, Katie was able to focus on Amber’s fractured leg. The mare underwent nearly six months of box rest, and Katie tried every product she could find to prevent fluid filling in her legs. It was then that she discovered Back on Track’s ceramic-infused leg wraps and after trying them she found that the swelling in Amber’s legs was significantly reduced affording her greater ease of movement. 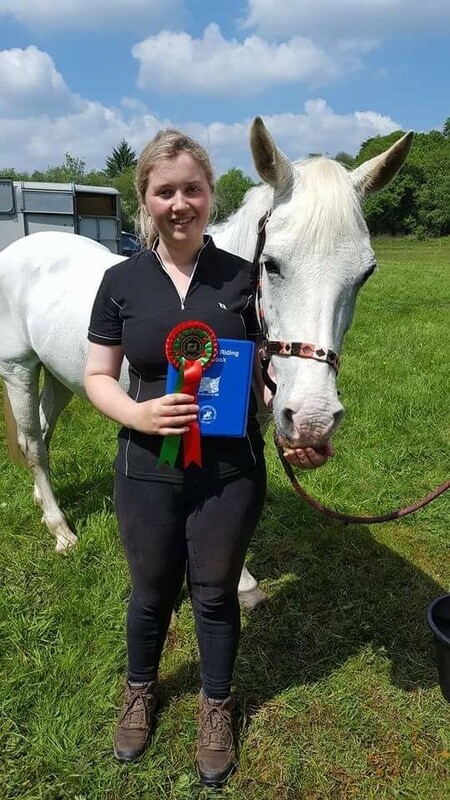 With the unrelenting hard work of Katie and her team at home, and the help of Back on Track therapeutic technology, Amber has gone from strength to strength, achieving the top placing at their first endurance ride since the accident, over a tricky 35km course with endurance group De Cymru. Back on Track are delighted to offer continued support to Katie and Amber. Back on Track, a Swedish company, manufacture textile products incorporating their revolutionary Welltex™ fabric. Welltex™ is infused with ceramic particles that cause long wave infra-red heat to radiate back towards the body. The body responds positively to the infra-red wave, increasing circulation, which can relieve joint tension, maximise performance and help avoid injury. The range offers clothing and braces for horses, humans and dogs to support supple muscles and joints. For more information, to download a copy of our brochure or find a local stockist, visit www.backontrack.com or email uk@backontrack.com.